I enjoyed reading Helsinki Sunrise. Eveliina is seeking solitude at her grandparent’s cottage. She wants to escape her demanding boss, who is pushing her to form a more personal relationship with him. Adam is Eveliina’s brother’s friend and he is devoted to his missionary calling. Sparks fly when Eveliina discovers Adam in her sauna. Eveliina has no time for God. She does her best to drive Adam away from the island despite her growing attraction to him. Adam is determined to resist the temptations placed before him by the beautiful Eveliina. 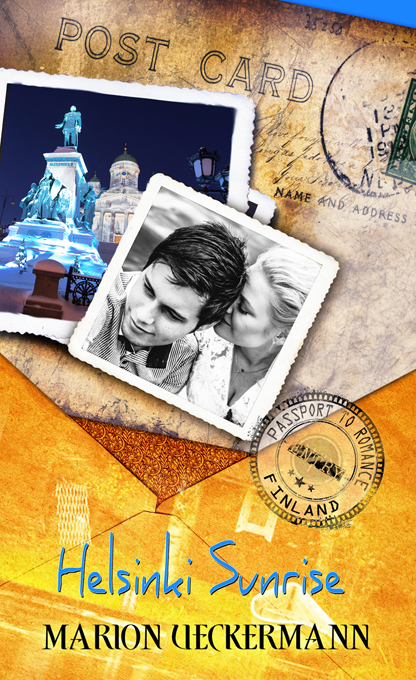 I loved the playful romance that developed between Eveliina and Adam in an authentic Finnish setting. We have a South African hero, a Finnish heroine and a gorgeous island setting full of fresh blueberries and mosquitoes. The faith element in the story is strong and we see Adam struggling with his feelings for Eveliina, knowing he can’t be unequally yoked. Events in the story challenge Eveliina to face her past and explore her faith. I recommend Helsinki Sunrise to those looking for a light hearted contemporary romance novella that explores faith issues. To learn more about Marion and her books, please visit her website and check out her Inspy Romance guest post here. This would be an interesting read. I like stories where one person is a Christian & one is not and how that plays out in the story. Usually the non-believer will give their heart to the Lord by the end of the book. It’s a fascinating journey in how God calls a person’s heart! I’ll have to check this one out & put it on my to-be-read pile! Thank you for the recommendation Narelle! This sounds great–right up my alley of what I like to read. Thanks!